Poole Hospital Charity is delighted to have been chosen once again as the nominated charity for Poole Festival of Running 2019. This year we are asking you to support two key areas of our service. Firstly, with 1 in 2 of us receiving a cancer diagnosis in our lifetime the cancer specialists at Poole Hospital have never been busier. Taking part in the 5K is your chance to help the hospital fight cancer. In 2018 Poole Festival of Running raised over £11,500 for innovative cancer diagnostic and treatment equipment. This allowed us to purchase the much needed lateral arm attachment for the biopsy machine in the Dorset Breast Screening Unit as well as the 8 immobilisation devices for the precise delivery of radiotherapy treatment. This year your sponsorship money will be used to support our brachytherapy services as well as radiotherapy delivery and breast cancer detection. Secondly, if your little one is taking part in any of the minithon races then this is their chance to help poorly children of Gully’s Place Trust Fund here at Poole Hospital. 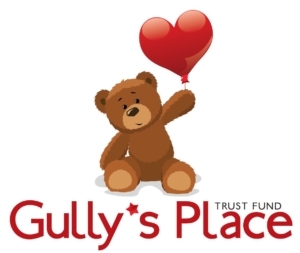 Gully’s Place is a unique service wholly funded by charitable donations. It supports children with life-limiting and life-threatening conditions. The service extends to end of life care with a focus on making happy memories for the families as well as bereavement support. So this year we ask you to get yourself sponsored to help us make a real difference to the services we provide our community with. As a thank you, all runners who raise at least £50 for Poole Hospital Charity will receive a complimentary charity t-shirt, or raise over £100 to receive an official Poole Hospital Charity running vest. Exciting Stuff! Show your support today, sign up for your race then set up a Just Giving page or download a free sponsorship form. Help your hospital help your loved ones.